Purim off Ponce is SOJOURN's annual fundraiser and Atlanta's best costume party. February 25, 2017 at Le Fais do-do! Celebrating 11 Years as Atlanta's Best Costume Party & Fundraiser! 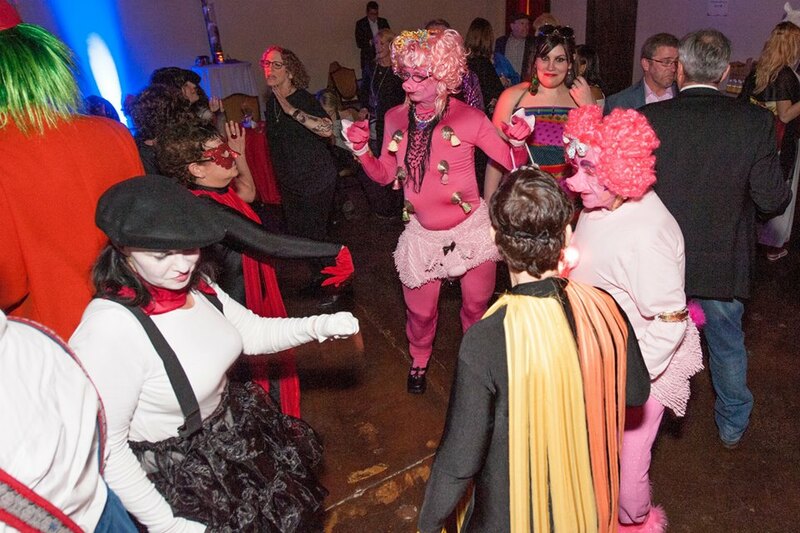 Purim off Ponce is SOJOURN's annual fundraiser. 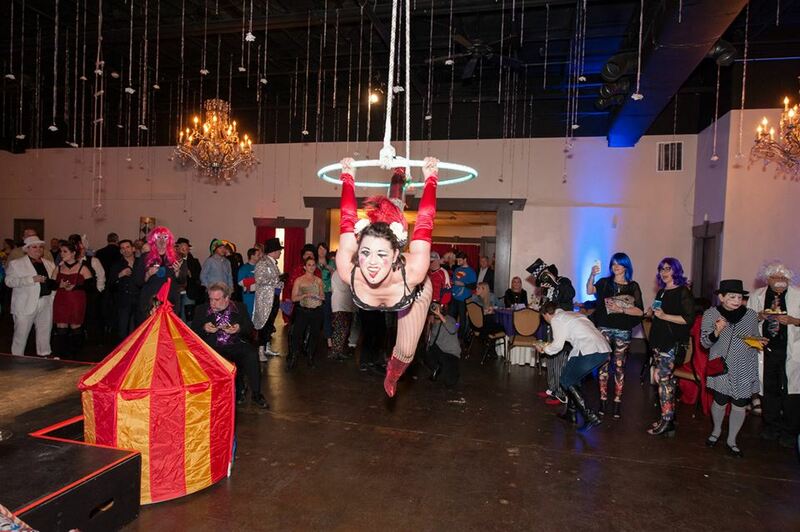 Now in its eleventh year, Purim off Ponce has been known as one of Atlanta's greatest costume parties. Great drinks, dancing, and of course, drag queens! All proceeds from Purim off Ponce support the important work of SOJOURN. Purim off Ponce 2017 honors the work of Rabbis Michael Bernstein and Pamela Gottfried. In recognition of their longtime support of SOJOURN, Rabbis Bernstein and Gottfried will receive the Michael Jay Kinsler Rainmaker Award. Michael Bernstein is the Rabbi of Congregation Gesher L'Torah, a dynamic community inAtlanta where each person's story is embraced and Judaism is personal. Rabbi Bernstein has a passion for finding new ways to draw inspiration and meaning from Jewish sources especially in celebrating the holiness in each person's relationship with themselves, with G*d, and with those we love. His work leads him to deep ecumenical encounters with people of manyfaiths and approaches. He has studied Jewish mysticism, contemporary philosophy, and the art seeing the everyday world through the lens of Jewish insight. He blogs weekly and ispublished in the Huffington Post, Times of Israel, and The Wisdom Daily. He was ordained at the Jewish Theological Seminary in 1999 and in 2015 was honored to be inducted into the Morehouse College International Martin Luther King Jr. Board of Preachers. He is proud to be a strong advocate of SOJOURN and to have been part of the successful campaign to defeat legislation that would strip protections from members of the LGBTQ community in Georgia. He and his wife Tracie have three children: Ayelet, Yaron and Liana. Pamela Jay Gottfried is a rabbi, parent, teacher, artist and author. and the author of Found in Translation: Common Words of Uncommon Wisdom. Since her ordination from the Jewish Theological Seminary in 1993, Gottfried has taught students of all ages in churches, colleges, community centers, mosques, schools, summer camps and synagogues. She is a member of the American Guild of Judaic Art and an alumna of Clal’s Rabbis Without Borders, whose mission is to make Jewish wisdom available to those seeking to enrich their lives. Rabbi Gottfried is currently the Dean of Jewish Studies and Student Life at The Felicia Penzell Weber Jewish Community High School where she has been instrumental in the success of their Gender and Sexual Diversity Alliance and has organized SOJOURN workshops for her students and colleagues. Rabbi Gottfried has been an active advocate for equality in Georgia and has spoken out against discriminatory legislation on the steps of the Georgia State Capitol and in the media and she is also an active participant and supporter of SOJOURN's parent discussion group. She and her husband David have three children: Maital, Shira, and Jonah. The 2016 video tribute to Rainmaker Award namesake Michael Jay Kinsler, narrated by his late mother, Margaret Kinsler Shainker. In 2014, the Rainmaker Award was renamed in honor of Michael Jay Kinsler. Michael was an active member of Congregation Bet Haverim and the Atlanta LGBT community and dedicated much of his life to ensuring that gay and lesbian Jews had a place to worship where they could find solace and pride. We hope to honor Michael's legacy of inclusion and action for many years to come. 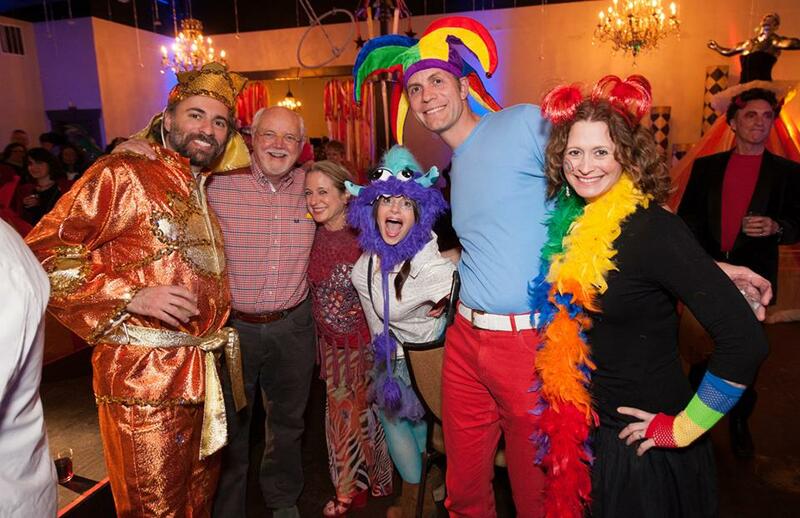 Click here to check out pictures and more from Purim off Ponce events of the past!